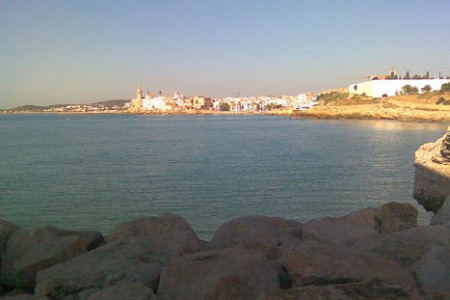 Sitges holidays take you to the golden sands of the aptly named Costa Dorada on the east coast of Spain. With wonderful beaches, gently lapped by the warm Mediterranean, it is no surprise that holidays to Sitges have wide popularity. Located twenty-five miles from Barcelona, Spanish, as well as many British visitors, flock to the resort. 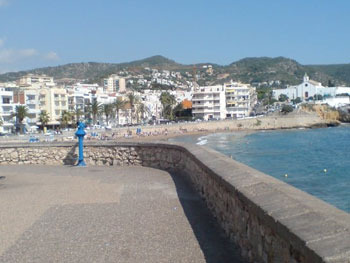 Holidays in Sitges can be taken from April to October with temperatures rising from twenty to thirty degrees in peak season. This is a fairly upmarket resort with superior accommodation where our cheap Sitges holidays are considered great value. The many restaurants serve a diverse cuisine that caters for most tastes. Shopping is very good but if greater choice is needed, there are regular buses and trains to Barcelona. Sitges nightlife has something to suit every mood, whether it be a romantic evening under the stars in the charming old town, or dancing until the early hours in a lively club or disco. Sitges is becoming increasingly popular with the gay community. With numerous leisure pursuits, both in and out of the water, our low cost Sitges holidays are sure to please. If you are seeking a guarantee of summer sunshine in a lively resort on the Med, you may be tempted by our last minute Sitges holiday offers. 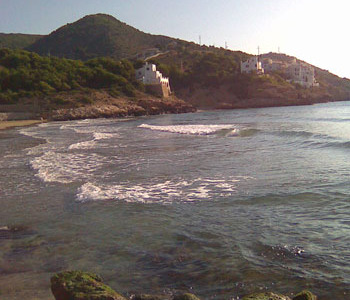 For further information and to view best Sitges holiday deals, please use the search facility.